Looking to make friends and enjoy my time in Ireland. Enjoy good food, good conversation, and traveling! 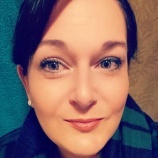 Texaswoman68 is a Female dating in Dublin, Ireland. Check the description of this 46 years old profile, maybe this matches your profile description and you can both start dating in Ireland for free.